We can’t make a difference without your support. We are always looking for supporters who believe in our work and the children we support to help us raise awareness of Missione Possibile. You can support us as your chosen beneficiary at your own fundraiser, or present on our behalf within your school, society or work place. We would also like to encourage Student Ambassadorship within schools to empower students here in Milan to make a change in the lives of our students in Cambodia. 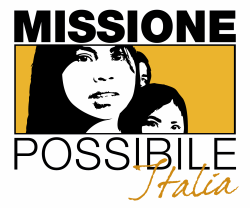 Students can choose Missione Possibile as their charity of choice to run their own awareness programme or collect donations, material or financial, on our behalf. This is a great way for students to work together as a team for a common cause, and we can fully support them with an initiatives they wish to undertake.